There is no doubting Diana Damrau’s star power. She is not a demonstrative performer, and her voice is small, but the sheer character of her tone, and the passion she invests, make every line special. She is not one to over-sentimentalise either, so there was never any danger of Strauss’s Four Last Songs turning saccharine here. Conductor Mariss Jansons was on her wavelength, and brought richly coloured but always carefully controlled support from the Bavarian Radio Symphony Orchestra. All of the Strauss on this programme – the Four Last Songs and Ein Heldenleben – was given in broad and generously shaped readings. Damrau supports her tone beautifully, allowing Jansons to stretch out phrase endings, knowing Damrau will always have something in reserve. Though a native German speaker, she has little interest in projecting the text – colour, phrasing and timbral nuance all take precedence. The Bavarian Radio Symphony is exactly the kind of orchestra that Strauss had in mind: The bottom-up string sound was ideal for “Beim Schlafengehen”, and the rich, characterful woodwind tone made every solo a delight. The first violins had a shaky moment in the divisi passage of “September”, but leader Radoslaw Szulc redeemed all with a beautifully rendered solo in “Beim Schlafengehen”, his tone broad and complex, his rubato just the right side of indulgent. An excellent horn solo, too, from Eric Terwilliger in “September” – rich, warm, beautifully supported. 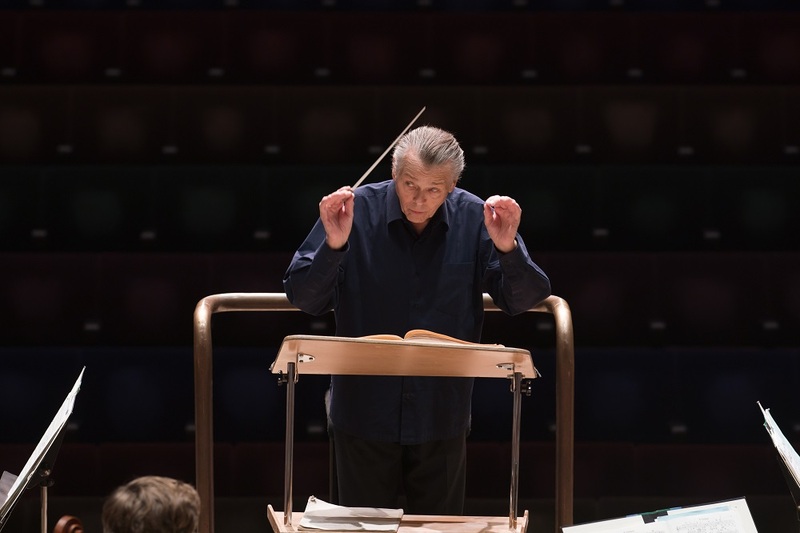 Mariss Jansons (pictured above in rehearsal for the Barbican concert) is a one of the greats among living conductors, and his recording catalogue is second to none. But I’ve been unimpressed by his recent live appearances; his performances have seemed professional but uninspired. Fortunately, Strauss finds him on top form. It is music that needs a steady hand and careful shaping, but it also needs passion and breadth, all of which Jansons delivers. Ein Heldenleben, Strauss’s tone poem about the travails of his own career, is a messy and sprawling affair. But it is a favourite with orchestras that can play it, as it shows off their strengths. That was certainly the case here with the BRSO, and, as with the songs, a healthy dose of Bavarian colour invigorated proceedings. The lower strings shone at the opening, with particularly impressive agility and ensemble. Strauss represents the critics with spiky woodwind solos, another opportunity to hear the rich flute and oboe tone, just as characterful, even in this staccato music. Narrow-bore trumpets dominated the battlefield scene, not as loud as their British counterparts, but just as imposing. And best of all, Szulc and Terwilliger, again delivering handsomely, Szulc more nimble now in his portrayal of Strauss’s wife, Pauline, and Terwilliger bringing a sense of noble serenity to the “Retirement and Fulfilment” coda. Despite his age, Jansons remains impressively dynamic and engaged. In lesser hands, Strauss’s scene changes can seem clumsy, but Jansons knows how to bring a sense of symphonic coherency – perhaps even despite the music. As with the songs, the sheer breadth of his reading was particularly impressive; everything was about the bigger picture. And, although as disciplined as Damrau when it comes to emotion, he knows how to milk the set pieces, the floating string passages, the reflective interludes and, best of all, the noble, consummate ending, crowned with that elegant horn solo. Gorgeous, just gorgeous.